Summary: How do we get women to stop saying, "I'm just a mother"? Or, "I used to be such and such, but now I'm just a mother"? 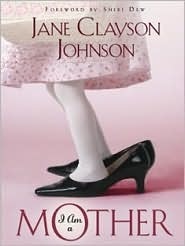 When Jane Clayson Johnson, former network news correspondent and co-host of The Early Show attended a gathering of nearly fifty LDS couples, she was shocked to hear the women in the group describe themselves as "just a mother." She had not expected Latter-day Saint women to have the same undervalued view of motherhood as the rest of the world. Jane's fascinating personal story and unique insights will inspire women to raise their awareness and perception of this important--and often difficult--role. WOW!!! What an amazing book. This book gives ALL mothers the feeling that they can be proud of their roll as a Mother and also gives you respect for all other mothers. So I want to now say loud and proud... "I AM a Mother!"